The desire to love someone through and through and to be loved that way in return—for a lifetime—burns in the hearts of most everyone. Yet even though we are all truly worthy of such a love it is not something that will simply ‘happen’ to us. A superb relationship, one that satisfies and stimulates to the core, is an extraordinary accomplishment, equal to high achievement in realms of business and the arts, science and sports. Such relationships are rare, not because people lack the capacity for loving, but because they don’t know how to make the shift from falling in love to sustaining that love over many years, creating and recreating it again and again. You may believe that continuously creating love is an impossibly daunting task. Perhaps you’ve been through painful unions before and your heart is battered and broken. Or your present relationship, although comfortable, has become just a little boring, wallowing in a rut of mundane sameness. Then again, you may be at the outset of a wondrous romance and only slightly haunted by a niggling certainty that your passion will eventually fade. Whatever your present circumstances, do not allow preconceptions and fears to hold you back from your heart’s aspirations. Living a lifelong, passionate and intimate union is not a complicated undertaking. On the contrary, it is quite simple and well within your abilities. The fundamental requirement is to rediscover and reunite your 4 Freedoms: Body, Mind, Heart & Soul. These 4 Freedoms are the essence of human nature—yours and everyone else’s. Each is vitally important in its own right, but it is equally important to integrate all four. Awaken your senses. See, hear, smell, taste and feel love. 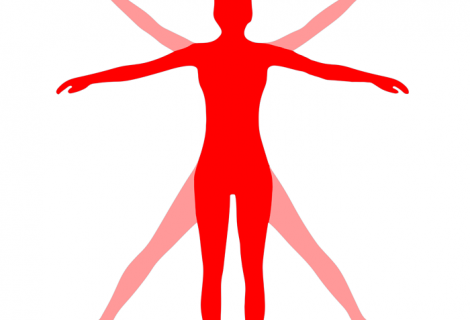 Know your body as a divine temple of love, carrier of the Soul, manifestation of God and Goddess. Become truly at home in your body—at ease, at peace, comfortable in your skin. Allow yourself to experience physical pleasure. Feed yourself and all around you with sublime, intimate human touch. You are your body. Your body is freedom. There are no limits. All limits are self-imposed. 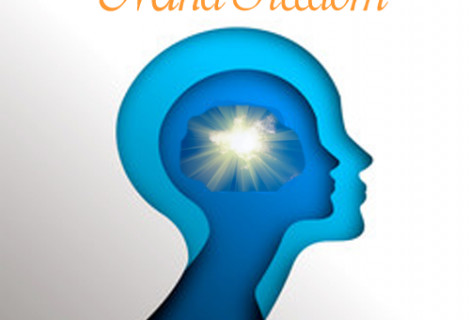 Change thought from your master to your powerful servant, a tool of your liberation. Turn your thinking on, and turn it off, when you want to. You have the power over what you think about. You also have the power over how you think about what you think about. Connect with your higher self for guidance and direction. You are your mind. Your mind is freedom. Heal your broken heart. Open your healed heart. Give and receive love easily, naturally, spontaneously, and unconditionally. Discover your lover within. Love yourself. Accept yourself. Forgive yourself. Know that you are worthy of love. Acknowledge and welcome the love of others. Dare to be the great lover you are. You are your heart. 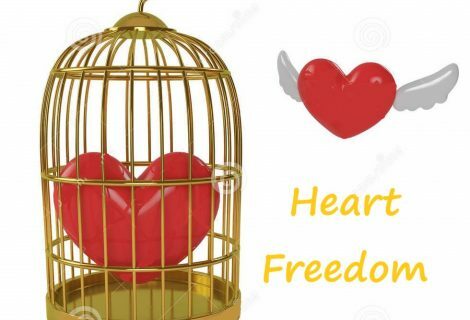 Your heart is freedom. Your body, mind and heart are windows to your soul. Your soul transcends space and time. It is outside of cause and effect. Your soul is complete, and perfect. When you communicate with your higher self, with God and Goddess, you are communicating with your soul. Your soul has your body, mind and heart within it. Your soul is what you are. Your soul is THE SOUL. 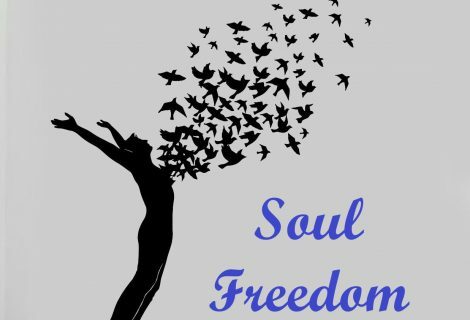 Your soul is freedom. 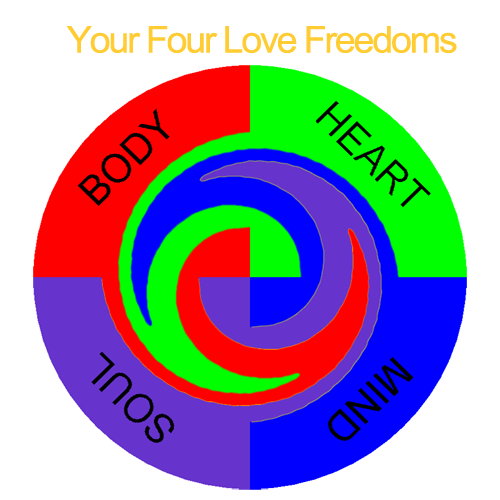 The 4 Freedoms of Body, Mind, Heart & Soul are your building blocks for a superb relationship. We’ll help you with your foundation….